One of my favorite parts of hosting the Love Notes Post Card Project is reading each name and finding out where that person will be writing from. I love seeing familiar names and individuals who have shown up time and time again. It makes my heart smile. My second favorite part of the project is exploring the websites of the individuals who share them. There is so much goodness and inspiration. I love finding new pockets on the internet that are filled with love. 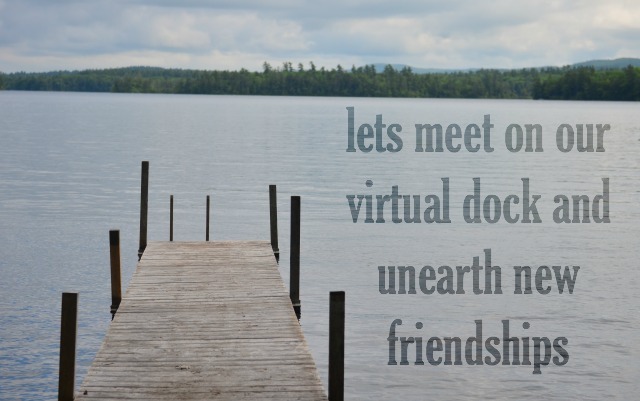 I invite you to gather on our virtual dock with some of the individuals who are sending love out into the world. Stop by and say hello. Get a glimpse into there world. Be inspired by there magic. If you are a part of this round of Love Notes and would like your blog added to the list please send me an email and I will get it up here.